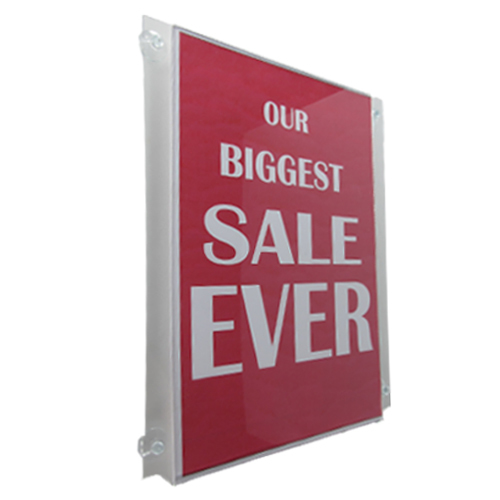 Double-sided poster holders fabricated from clear acrylic. 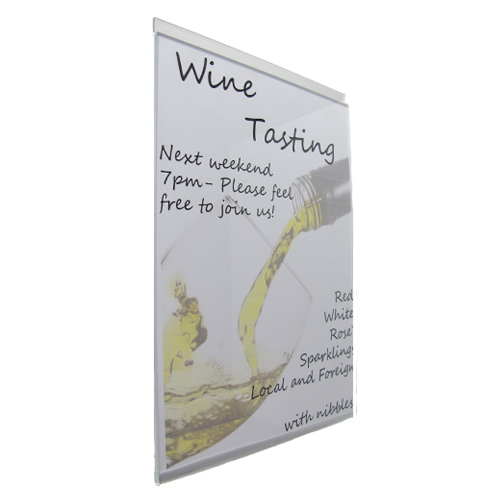 Made with a fold at the base, and higher at the back than to front so that they can be used with top clamps (wire- or bar-fix) while still allowing easy access to change a poster. PLEASE USE THE DROP-DOWN BOXES ABOVE to view different options for this item (eg by altering the 'size/orientation'). Clamp-on poster holders (pockets) are double-sided. They are made to give easy access when changing posters. They are higher at the back than the poster so that top clamps can be attached. 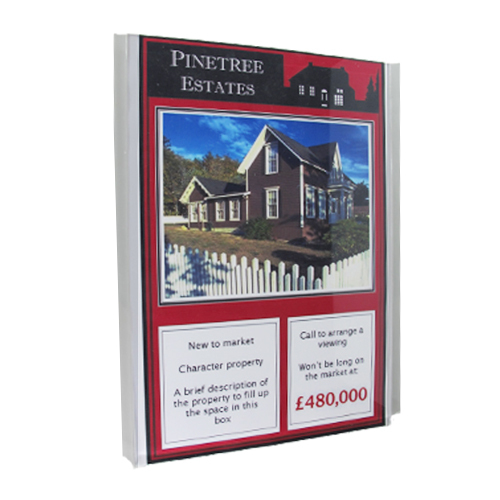 Smaller poster holders have a straight back, while larger ones have tabs at either side so that top clips can be used. 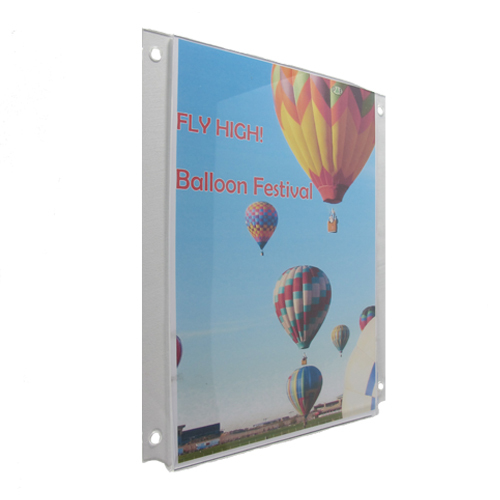 Multi-poster holders (to display posters side-by-side) also have 12mm gaps between posters. Our pockets are fabricated from 2-3mm clear acrylic, depending on size (up to and including A4 sizes are made in 2mm acrylic, A3 and larger in 3mm acrylic). Pockets of sizes A2 and larger are supplied with top clips to help keep them closed.